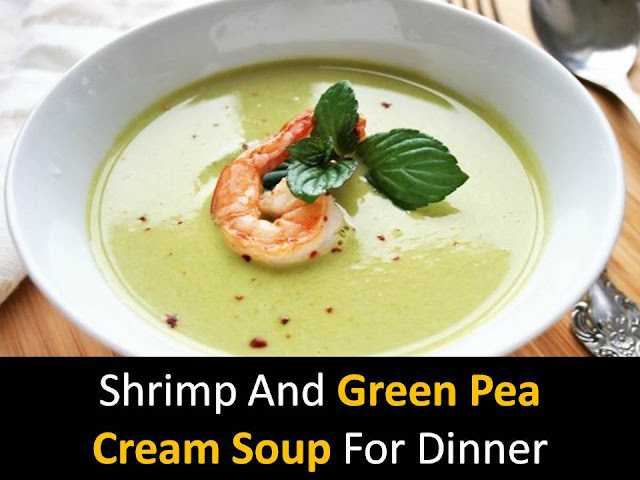 A very simple and interesting soup recipe for Dinner An interesting combination of grated peas and small shrimps, fried with spices. Step1 - Pour the olive oil into the pan and fry the whole peeled garlic cloves on it. Add a sprig of fresh basil. Step3 - Cover the mass with a lid and reduce the fire, cook for 20 minutes. Add salt and ground pepper to taste. 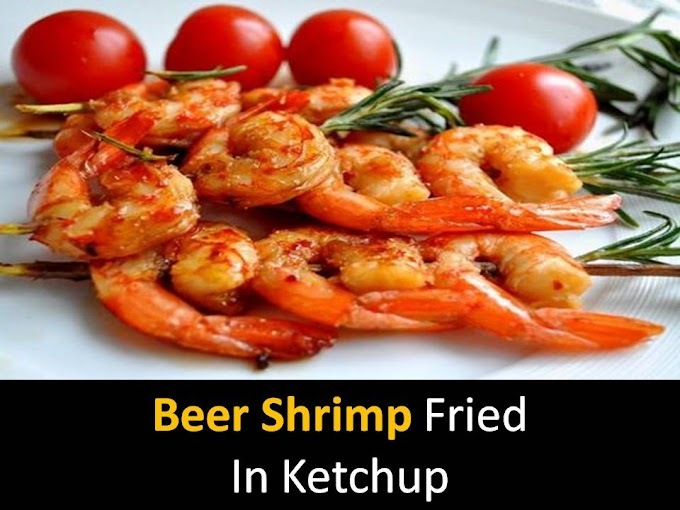 Step4 - Peel the small shrimps and put them on a baking sheet. Chop parsley mix with olive oil, pepper, and salt. Grind green pea soup in a blender, serve with hot shrimps.